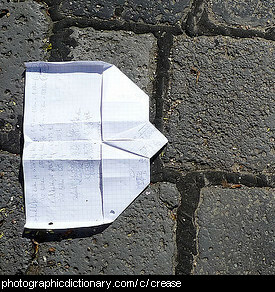 Words to do with the breaking and undoing of things. 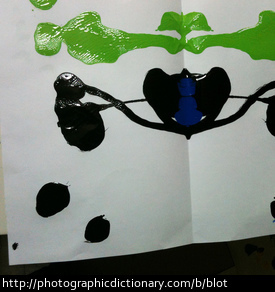 A blot is an uneven spot or stain. When you say blot, you usually mean a blot of ink on paper. 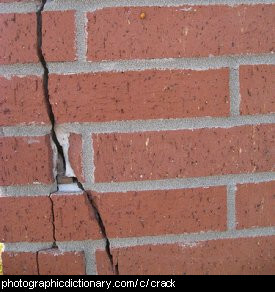 Something is broken if it is so badly damaged it can't be used for its original purpose. For example, a chair is broken if a leg has come off and you can't sit on it. 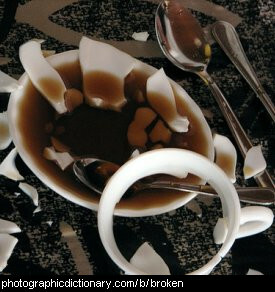 The cup in the picture is shattered so badly it no longer holds coffee. Some things that are broken can be fixed, but not all. A chip is a small piece of something, most commonly a piece of potato, deep fried to make potato chips. 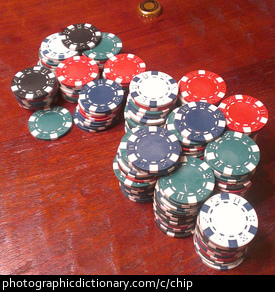 A chip is used in gambling to represent money. Corroding is the process by which something becomes corroded. Metals usually corrode by a slow chemical reaction. 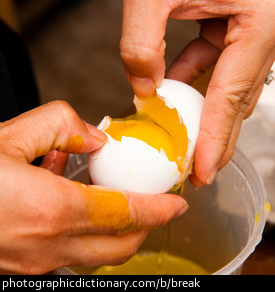 Something is corroded if it is showing damage from being slowly eaten away. 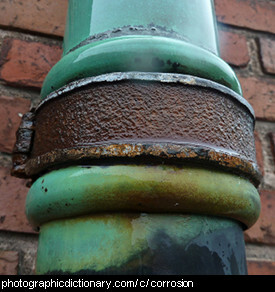 Many metals become corroded over time by a slow chemical reaction. 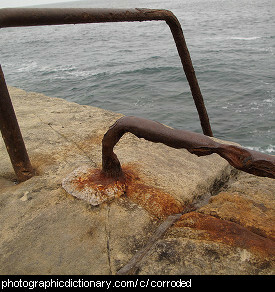 Iron becomes rusted as it corrodes. 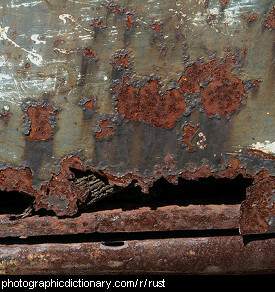 Corrosion is what appears on something that is corroded, or the process of something becoming corroded. Damage is some kind of harm that is caused to something else, which doesn't completely break or destroy it but does reduce its usefulness or value. 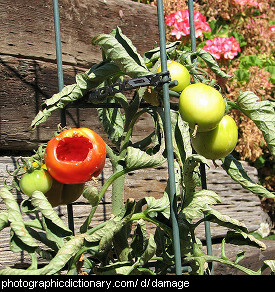 The tomato in the picture has been damaged by birds.